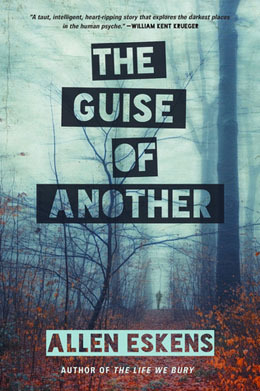 This week, Allen Eskens follows up his critically-acclaimed and multi-award-winning debut, The Life We Bury, with an equally strong second novel, The Guise of Another. The over-arching theme of this new novel is deception and the ramifications resulting from it. The Guise of Another is about the various masks that people choose to wear in order to justify their actions and rationalize their decisions. We all do it, to varying degrees, but the characters in Eskens’ novel are performing on a whole different level. 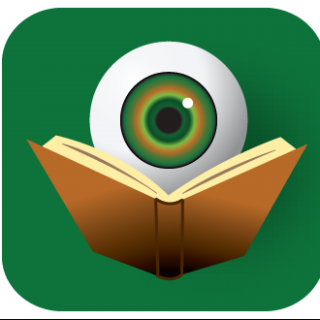 The guise at the core of the book involves Mr. James Putnam, who recently died in a tragic car accident. The only problem is that Mr. Putnam was a victim of identity theft and now no one knows who the dead man really is. Figuring that out becomes the job of Minnesota detective Alexander Rupert. The deeper Alexander digs into the false life of Mr. Putnam, the closer he gets to disturbing a long-buried secret someone may be willing to kill to keep. Further complicating matters are a number of other issues in Alexander’s life. He is just days away from testifying at a grand jury hearing resulting from some potential corruption during a previous investigation. Max, Alexander’s brother and fellow police officer, wants to believe that he knows the truth of what happened that night, but something is not adding up. And then there is Alexander’s wife Desi. She has been lying to Alexander for weeks about going on business trips and meetings in order to have secret rendezvous with another man. It would seem difficult for things to get worse, but Allen Eskens is not one to back down from a challenge. The Guise of Another starts off at a fairly brisk pace, but as the novel continues and new revelations are made, the action escalates to such a point that by the end, readers will find the words on each page little more than a blur as they hasten the turning of them. The twists and turns the case takes are constant, but never unbelievable. Each new disclosure develops out of the characters involved in such a way that the ending almost becomes inevitable – and oh, what an ending it is. Eskens has been praised for his multifaceted characters and that is true with this new novel as well. However, it could easily be argued that his plot development and story structure are equally as strong and The Guise of Another would be case exhibit #1. Both of Allen Eskens’ novels are stand-alone tales, so they can be read in any order. Do yourself a favor and read one of them. Chances are, it won’t be long before you find yourself reading the other. Eskens is the real deal.